Always on time always willing to discuss your treatment and listen to your concerns! I was very happy with the service I got concerning my wasp problem. The folks that come by to provide the treatment are always so pleasant and knowledgeable. It's a great service with great staff. Thank you. always responsive and ahead of our needs. great company. I was happy with everything and gave all this information a few days ago. Great service, technicians, & reminders for service. Very good service and courteous, professional people. The results are still very good. We had a bad ant problem every spring. Have seen very few since. 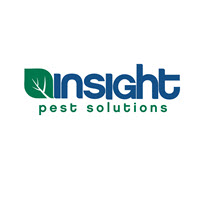 We have had no problems with pests since we began service with Insight 18 months ago. Great service and ants seem to be gone!! !